Read to your kid regularly. It’s always hard to learn new things. Remember the first time your child learned to walk? I have heard that a child does at least 1000 situps before they take their first step. Same is true about the spoken word. 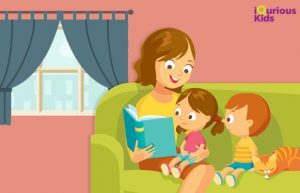 So, you have an opportunity to encourage and inspire your child by exposing them to new types of books regularly. Ideally, this should begin when they are toddlers and proceed through their school years, to make them lifelong readers. Let them pick the books they want and read to them things that they would enjoy. Even in their choices you will find new vocabulary all the time! Ask interactive questions to generate awareness and curiosity. 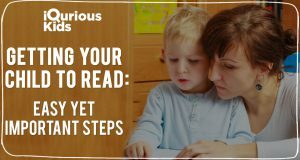 Indeed, even before your kid figures out how to peruse, they can get the hang of reading comprehension. As you read stories to them, make sure to get some information about the characters or the plot. For toddlers, these might be questions like “Do you see the cat? What is the cat’s name?”. You may not hear complex verbal responses until your kid is four or five years of age. Even so ask away and listen – you will be wonder struck by their imagination. Make books easily available to kids. It’s a pity if you have a lot of interesting materials but they have been kept in places, perhaps, that are inaccessible or too much of trouble for your kids to take. Keep books low to the ground and in ordinary areas, so your kid starts to take a look at them on their own. In most of our blogs we have always pointed out that modeling good behavior helps shape kid’s personality. The same fact applies in this case too; if your kids find you reading books, magazines or any other readable stuff, then they will perceive it as interesting and will try reading it too. 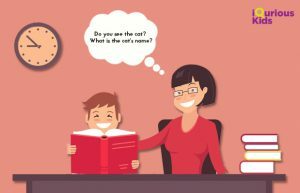 This ‘Monkey See – Monkey Do’ approach always works well with the kids and on the off chance, you’re reading something of your kid’s interest, then enlighten them with what you are reading. Join this by indicating words on the page to enable them to interface the lines on the page with the sounds that shape words. Before you even begin getting into the specific ordering of the letters and their sounds, enable your kid to recognize that the lines on the page are directly related to the words you are speaking out loud. As you read out loud to them, point to each word on the page. This will enable your kid to get a hang of the pattern of the lines on the page identifying with the words you pronounce. Over time they will see patterns and also perhaps show you the same word on another page. One of the most essential strides in teaching reading is associating a spoken sound with a letter or letter-pair. This procedure is known as phonemic awareness. 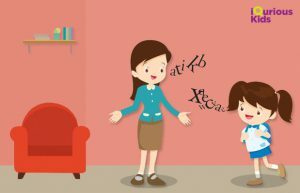 There are 44 speech sounds created by the 26 letters in our alphabet, and each sound must be taught paired with its letter(s) counterpart. This incorporates the long and short sound delivered by every individual letter, and in addition the specific sounds some consolidated letters make (like ‘ch’ and ‘sh’). So take the time with individual letters. Use flashcards, chalk board and short bursts of learning time. Fridge magnets work well too! Rhymes are the most fun and effective way by which kids learn practice and develop an ear for language. rhythms help kids hear the sounds and syllables in words, which helps them to read properly. 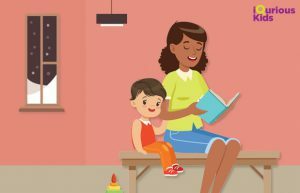 Once they get the hang of it, you can also have them act out rhymes, create nursery rhyme crafts, illustrate favorite rhymes, and write on their own. Previous article 3 Fun, Easy and Less Messy Science experiments for kids! Next article Want a poetic kid? Here’s what you got to do to make your kids love poems.